In the long, varied, and traditionally male-dominated history of the crime novel, the work of author Vin Packer distinguishes itself with rich characterization and psychologically driven plots that are unsurpassed by many of the genre’s contemporaries. Born Marijane Meaker, the female author wrote more than twenty mystery/crime novels under the pseudonym Vin Packer in order ensure the publication of her dark, unorthodox novels that occupied a morally ambiguous landscape without the predictable plots of tough guy detectives or villains in black hats. Instead, Packer’s work defines itself by unforgettable array of misfit characters, usually rejected or misunderstood by traditional American society, and driven to tragic downfall by the compulsions of their eschewed psyches. In three of her best novels—The Thrill Kids, The Twisted Ones, and The Damnation of Adam Blessing—Packer details the devastating downfalls of young men unable to conform to the social norms surrounding them. While exploring such major issues as identity, sexuality, violence, and psychological neuroses, Packer always balances her stories with moments of laugh-out-loud comedy or sudden, gut-punching tragedy and complemented by a literary style that foreshadows an imminent doom. Reminiscent of filmmakers like Fellini and Paul Thomas Anderson, Packer’s characters represent a wide collection of unique misfits that must navigate a disorienting world while marching toward their inevitable climax of defeat. 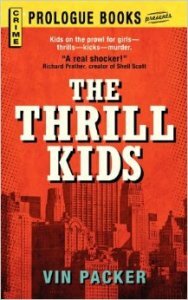 Published in 1955, The Thrill Kids follows a band of delinquent teenagers composed of Bardo, Manny, Flip, and Wylie. In one short chapter focusing on each of the quartet, Packer succinctly offers a vivid and fully composed illustration into both the home life and psychological makeup of each. Bardo enters as the new kid in town fresh from the West Point Military Academy. The young man has an OCD-like fixation toward discipline and hard work, and one who later describes Hitler as a “great, great man…a soldier and a gentleman”. In a few, almost throwaway lines with his mother, we learn Bardo’s father was a drunk. His relationship with his mother—and people in general—shown to be distant and almost alien-like in its understanding of intimacy. Bardo calls his mother by her first name rather than mom, regards the other boys as a military instructor would new recruits, and has an utter disdain for the homeless and vagrants that incites the tragic consequence for the four young men. The second boy—Manny—possesses perhaps the most heartbreaking storyline amongst the four. Living inside a cramped, troubled apartment with a mom that can’t understand her only son after her other child’s death in Korea, Manny harbors an intense affection for his pet snake. He’s shown to be perhaps the most naïve and childlike of the four—a boy with a big heart that’s not quite able to adjust to the larger world around him. Next, Flip—born Hans Heine—is first introduced in the midst of a brutal beating from his father. His mother watches from the other room, protesting, but unable to stop the strict German from knocking the wind out of his son for buying a magazine with a picture of a scantily clad woman. Finally, Johnny Wylie is introduced in the midst of burgeoning love with his crush. He’s inexperienced, nervous, and demonstrates the kind of personal snapshot of a specific time in adolescence that uniquely characterizes so much of Packer’s work within the genre. At home, Johnny’s parents push him to find grander ambition in life, while Johnny only hopes to pursue a career in music. In their first outing together as an informal gang, the boys happen upon a young couple kissing in the park. Despite the hesitancy of the other three boys, Bardo becomes enraged by the publicly affectionate couple and feels the need to discipline their being “filthy” in the public square. He pulls a knife, forces the woman to strip, and humiliates the young man. The other three reluctantly follow along with Bardo’s act in a mixture of both curiosity and fear of his ability to exercise authority. Because Packer’s novels were published in the fifties and graphic content of this sort needed to be censored, the author uses powers of suggestion for results that are both more emotionally devastating and narratively horrifying than any specific description could ever provide. While most crime writers of the time depended on more vivid (albeit muted) passages of guys with guns and their sexual escapades, Packer’s intensely character-driven novels position the readers directly within the protagonists’ point-of-view just before the moment of impact is about to strike…and then forces the reader to fill in the blanks with their own imagination to digest the tragic consequences that follow. Furthermore, Packer opens each chapter in her books with a trademark style of quoting an objective source of some sort: a newspaper headline, a psychiatric report, song lyrics, journal diaries, or a court report that further foreshadow the horrible outcome to follow and allows a feeling of dread to loom over even the most ostensibly innocent chapters of character study. By juxtaposing and incorporating these objective sources—the court reports, the psychiatric session dialogues, newspaper headlines—against the intensely personal journeys with the protagonists, Packer weaves a tragically well-rounded account of the crime from both sides of the law. Though the undeniable, factual narrative of the case remains, Packer imbues these four boys with such sympathetic pathos and insight that the reader can’t help but sympathize with the accused in the series of circumstances that led to the fateful night that will define the rest of their lives. In The Twisted Ones, Packer again follows a group of boys—this time a trio—all doomed to commit their own specific crimes and linked through a common geography, rather than any shared relationship. We first meet Brock Brown. A deceptively normal kid who places a great deal of attention upon his clothes, hair, shoes—looking good and clean. His dead mother’s obsession with dirt has been passed on to him, and he’s forced to reckon with throbbing, painful migraines that surge when the anxiety’s too much for him. He’s found a way to relieve these headaches through a habit of stealing. Brock likes to steal cars, plants…but always returns the stolen possession or leaves money in apologies for the inconvenience of his kleptomania. Some two hundred miles away in another small town, the eight-year-old genius Charles Berry has become a national celebrity due to his unbelievable winning streak on the television show Cash Answers. We also meet Charles’ parents. His mother—Evelyn, a woman of limitless love, compassion, and concern for her young child, along with Charles’ father—Howard. Charles and Evelyn are both painfully aware of the father’s embarrassment toward his prodigy son, complemented by with his son’s aversion to sports and physical activities that are clearly all Howard’s ever wanted from his boy. As Charles continually corrects himself from applying “big” words in his father’s presence, Packer illustrates a nightmarish portrait of Rockwell’s American family in just a few short pages. Lastly, Reginald Whittier sits in the antique store owned by his single mother—Miss Ella. Reginald talks with a bad, embarrassing stutter and sits locked home with his mother most of the days, under her control and unable to function autonomously. Despite his girlfriend’s persistence in the two possibly getting married and having a child one day, Reginald’s constant inner battle with both controlling his stutter and finding dependence from his mother always holds him back from living any semblance of normal life. While The Thrill Kills unites the friendship of the boys with the similarities of their individual hardships into helping understand how these disparate boys came to be, The Twisted Ones reads in a much different, more nuanced fashion. The triptych novel alternates between the three boys in chapters of ups and downs on the road to defeat, while always reminding the viewer that the trio exist in a shared, not too distant universe. In doing so, Packer’s able to demonstrate an idea about the separate psychology of these men that distinguishes itself from her other novels. Much of the boys’ frustrations that bubbles into their neuroses can be found in their perception of how others perceive them or how they wish to be perceived. As Charles’ continued success on the Cash Answer Show plays out upon the TVs in the background of the other boys’ storylines, both Brock and Reginald grow frustrated by the idea that this eight-year-old is able to achieve so much at such a young age, as they struggle with the monotony of day-to-day life. This is juxtaposed against Charles’ own psychology, showing how the eight-year-old lives in an isolated world of constant pressure from the public and his own perception of failure through his father’s eyes. Whether its through Brock’s obsession with looking cool and clean, Charles’ wish to not live as an embarrassment to his father, or Reginald’s stutter that embarrasses him to the point that he never wants to leave his mother’s presence, Packer demonstrates how damaging these misconstrued perceptions play out amongst the adolescent boys. Unlike The Thrill Kids, the author does not open each chapter with a quote from an objective source. Instead, she saves the tactic for the epilogue, which reads as an article from the Labor Day issue of a national news magazine detailing the tragic outcomes of the three boys. Again, and perhaps to more devastating effect, Packer uses the objective history of the magazine article to show how the general public perceives such headlines—to dismiss the boys as the eponymous “Twisted Ones”—rotten apples that committed such violence without reason or explanation. The reader, on the other hand, has gone through a personal journey with each of these characters. Packer has exhibited daily life for each of the three young men and given insight into how their perceptions/misperception of their shortcomings has led to psychological neurosis that proved to be too much for the young men and for surrounding society to engage with them in a meaningful way. As with The Thrill Kids, Packer has marvelously, and subtly, demonstrated how damaging a reductive perception of the criminal actions of these young men can be woefully misunderstood by those unwilling to address the troubled and misunderstood. 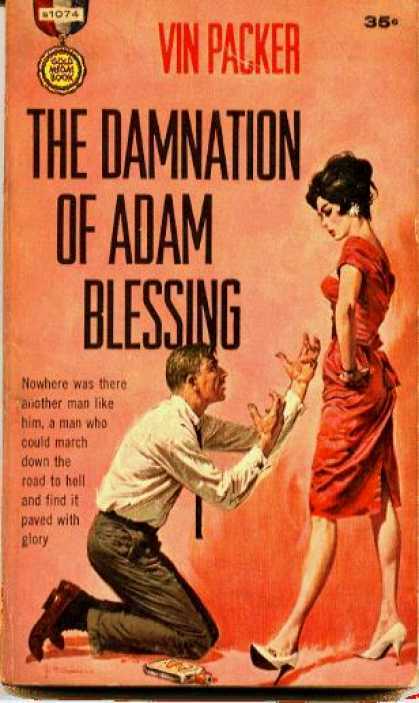 Finally, in my favorite of her novels, Packer writes one of the most intense, funny, sad, and brilliant of character studies in The Damnation of Adam Blessing. 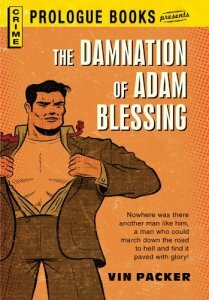 Unlike the previously discussed, The Damnation…focuses solely on Adam Blessing in a dizzying, unexpected, and emotionally infused tale that follows the unreliable protagonist and his neuroses within a number of subjects—from violence, obsession, sexuality, friendship, and addiction—throughout the picaresque novel. Orphaned at a young age with a single, abusive memory of his mother whose face he cannot remember, Adam’s personality has matured into a vacuous space upon which he defines himself by his relationship to the other characters. With women, men, and friends, Adam is unable to relate to others outside his perception of what they idealize and in their relation to his own identity. With Billy Bollin, Adam equates money, and consequentially—success. After a lifetime of failure, of not having friends, women, or parents that he can remember, Adam obsesses over possessing a life like Billy. He wishes to be accepted by him, to be anointed a companion, and later dreams of being accounted as a fellow member of Billy’s family. Although Adam perceives his actions as innocent, harmless, or outright thoughtful, he’s unable to ever distinguish the reality of how others may consider his relentless pursuits. 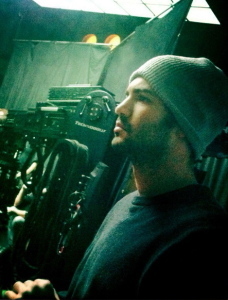 Packer often only ever describes Adam’s from his point-of-view, and when the reality of what he’s actually committed is later revealed through either another character’s dialogue or a newspaper headline, the viewer is left with a numb feeling of shock and disturbance that makes one question everything that’s come before and cautiously approach everything soon to come. Because Packer writes the novel through this exclusive point-of-view of her eponymous main character, the viewer experiences so much of these incredibly dark or volatile scenes in a dizzying experience of simultaneously looking through Adam’s eyes and yet also through a cringing, self-aware detachment of the horrifying reality. In a powerful scene demonstrating Packer’s skill set at this particular balancing act, Adam finally convinces Charity Cadwallader to join him on a date at a fancy restaurant. We painfully watch the descent of Adam’s drunkenness: as he orders more and more wine, confuses which lines he’s going to use to impress her, accuses the waiter of stealing his wallet, is escorted out the restaurant in tears. Through it all, Packer describes the incidents through Adam’s drunken perception while the reader remains in the all too painful reality of what is actually happening. The scene serves as a microcosm for a number of similar scenes throughout the rest of the novel, where the naïve protagonist commits himself to a line of thought justified by his own disturbed logic, while the reader must watch the inexorable consequences unfold and negotiate between these feelings of simultaneous pathos and pity. 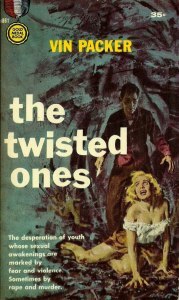 As with the other novels, Packer must again use the strategy of suggestion to fill in the blanks on many of the incredibly dark actions committed by the characters. While the technique is used quite effectively in the other two, and all the more powerful for forcing the reader to bridge the gap with their imagination, its usage in The Damnation… is used to both brilliantly censor the graphic content and contradict the protagonist. As a result, the reader opens these chapters with a feeling of dread and hesitation. And when finally reading the reporters’ description of these offenses and discovering the true horror of Adam’s nature. 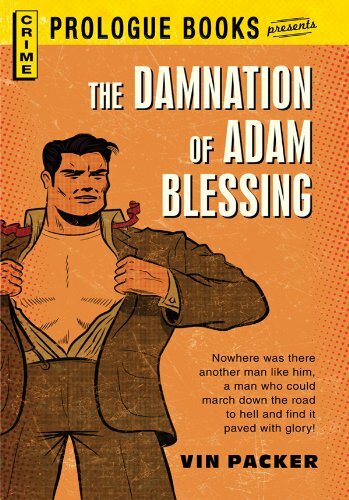 As character driven as the former two books are, The Damnation of Adam Blessing is about as character-driven a crime novel as one can find. The loose “plotting” revolves solely around Adam’s episodic journey from New York to Italy and back, while remaining intensely focused on his relationship (or lack thereof) with the women of his life. Although one could write entire dissertations around the issues of sexuality and alcoholism imbued within the character, and which deserve as much academic examination as found within any of the other well-regarded novels of American literature, the riveting narrative should not be overlooked for its incredible tapestry of emotions. Between moments of laugh-out-loud humor, heartbreaking despair, dread of Adam’s actions, Packer takes the reader on a unique and thrilling ride through the perspective of her troubled protagonist. More than anything else, the three novels—like many of Packer’s other works—demonstrate a woman who wrote male characters better than most of her contemporaries were capable of writing for either gender. Perhaps unsurprisingly, this woman, using a pseudonym to ensure her work could even achieve publication, exemplifies the very essence of her own misfit characters: writing that remains unique, intensely personal, and to this day—undervalued or misunderstood. Because of the pulp crime genre within which these books were originally published, these texts have often fallen off the wayside within the grand canon American of crime literature and are deserving of a great deal more academic study than many of the other well considered classics of the time. Packer’s work often details the specifics of a loosely based true story, but her ability to offer readers profound insight into the complex psychological of her characters demonstrates the wide spectrum of human nature that Packer so painfully understood as a woman not just within the literary world but America at large. This entry was posted in Literary Criticism and tagged Literary Criticism, Vin Packer on October 22, 2014 by Nick Yarborough.